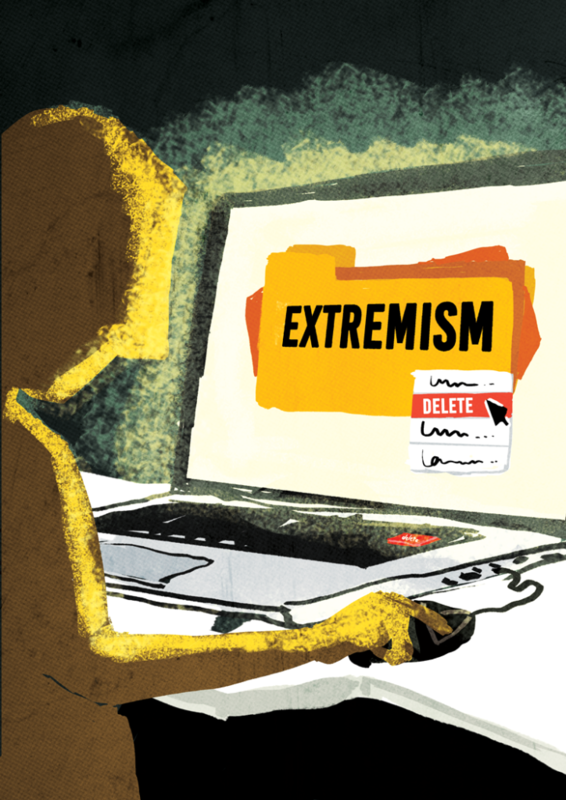 #HACKINGEXTREMISM: How Did Community Groups Counter Violent Extremism? The advancement of the internet and the tools it provides can sometimes be a double-edged sword. While it does present valuable opportunities for collaboration and communication, the internet can also be used by violent extremists to promote their hostile agenda. To generate local discussions and solutions on the topic, SMEX organized “#HackingExtremism: A Participatory Symposium on Countering Violent Extremism Online,” (CVE) in cooperation with the U.S. Embassy Beirut. The three-day symposium that took place earlier this year from April 14–16 facilitated multistakeholder discussions on the challenges the country is facing with regard to CVE. The April event produced three locally driven initiatives which were then implemented in the months that followed. Late last month, SMEX organized a follow-up event that showcased the achievements of the three pilot projects and lessons learned. More than 30 individuals from civil society organizations, government institutions, and representatives from the U.S. embassy attended. Watch the following video and meet the pilot projects leaders. The first part of the event included remarks from Danny Hall, the deputy chief of mission at the U.S. Embassy Beirut, and SMEX co-director Mohamad Najem. The speakers highlighted the importance of the projects and the new partnerships that were formed, as well as the need to work together to address the threat of violent extremists online. Following their introductory remarks, members of each pilot project team presented their projects, achievements, challenges, and lessons learned. For most participants, among the key advantages of their project were the skills they developed in the target groups and the new networking opportunities they were able to build. During this pilot, Rescue Me, a non-profit organization, conducted training sessions on aggression replacement and art therapy with 18-to-29-year-old detainees convicted on terrorism-related charges in Roumieh prison. The project included a psycho-social support program that provided the prisoners with tools to express themselves through art and disseminate their own message to vulnerable people, calling upon them not to enroll in terrorist organisations. “One prisoner gradually began abandoning his hostile thoughts and started thinking of his family when we asked him to draw his own family tree,” said Maya Yamout, the project’s team member. Following the training sessions, which have been extended from three months to six months, a short movie about the experience will be disseminated on TV and social media with the aim of preventing vulnerable people from joining terrorist organisations. Implemented by the Bekaa-based Nabad for Development, this pilot aims to raise digital awareness among youth and debunk myths perpetrated by extremist organizations by teaching school students aged 15-18 to critically evaluate and fact check information they find online, including extremist propaganda. By first training trainers who then hosted workshops, this pilot raised awareness among youth in Bekaa on how to fact-check and verify online information. Rather than address extremism directly, this media initiative, led by USPEaK and Nabad for development, explored another approach; supporting local organizations in the Bekaa to produce several short videos promoting Lebanon’s pluralism and positive narratives about the region. The six videos produced were screened during a film festival attended by local celebrities. The award-winning video illustrates the religious pluralism in the Bekaa region. 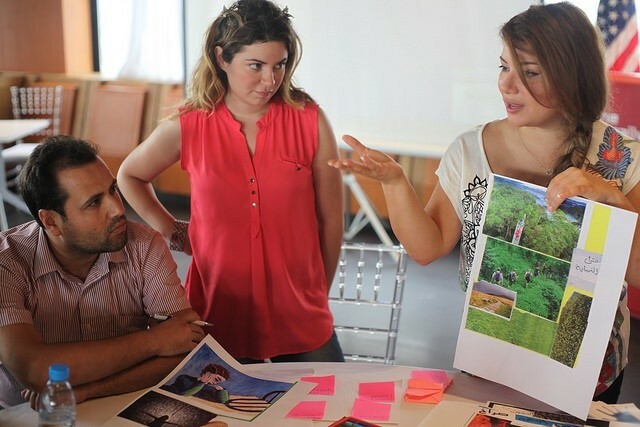 For one of the participants, this project was important because, “it showed Baalbeck in a way never presented before,” referring to the city’s rich religious diversity. Following the presentations, the attendees divided themselves into three roundtable discussions on lessons learned from every project. 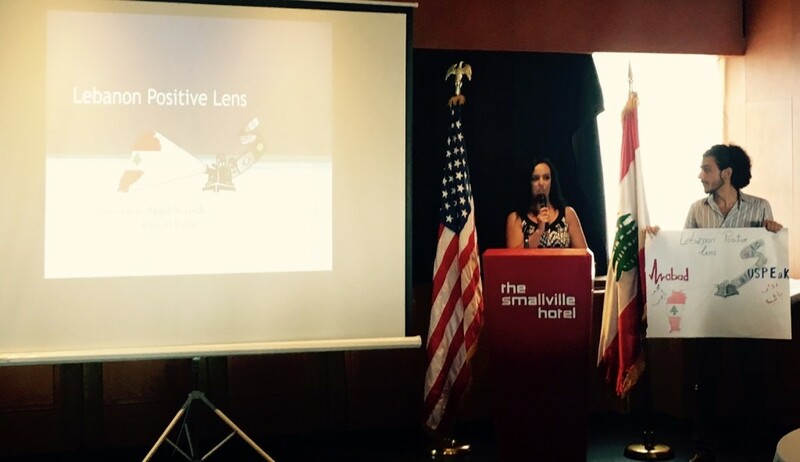 Increasing the number of CVE events in the Bekaa region. The event concluded with the attendees agreeing to remain in regular contact via WhatsApp and Google groups and arranging follow-up meetings. Interested to join? Contact SMEX and be part of a growing community for countering the effects of violent extremism online in Lebanon.